Reproduced below are various press releases and bits of information on the latest Shriekback album. The most recent information is at the top. Cormorant eggs are now in stock... these are a limited edition of 50 hand-crafted cormorant eggs that plug into your USB socket... each egg contains, in MP3 format, the whole of the cormorant album plus four bonus tracks, Month of Sand, Thumbless, Planet and Nimbulus and a 20-minute interview with Barry Andrews... each one comes in its own straw-lined mini crate with a personalised shipping label, plus a set of coloured prints of the cormorant at Lulworth Cove, a certificate of authenticity signed by Barry Andrews and Malicious Damage, a complete lyric sheet and one of a set of 50 ways to look at a cormorant. 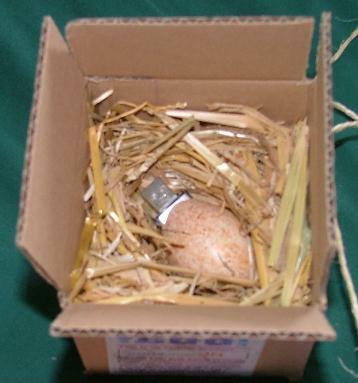 So there it is... the 'Cormorant's egg' is available to order from the Malicious Damage website and very nice it is too - grab one while you can. Over the past 23 years, Shriekback have managed to hack their own unique trail through the sonic swamp. Never bothering to check in at the counter of convention, the band, originally formed of refugees from XTC and the Gang of Four, have led us through the curious mix of organics and mechanics that was 'Care', the clinical funk of 'Jam Science', the machine-free beauty of 'Big Night Music' and many other matchless works. And they have always sounded fresh and confident in comparison with any number of their contemporaries. 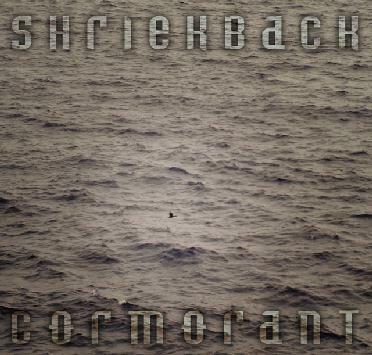 And now, in 2005, Shriekback return with their eagerly awaited 10th album. CORMORANT, the latest offering, as with many of their previous releases, provokes and seduces in equal measures. A soulful, insistent and sometimes riotous collection of songs and distracting instrumentals, the album features the ever present musical heart of Shriekback - the vocal and lyrical alchemy of Barry Andrews, and the percussive bedrock of Martyn Barker (who has written and played with Billy Bragg and the Blokes, Sarah Jane Morris, Joseph Arthur and innumerable others). Enriching this formidable partnership is a rare blend of Shriek collaborators - Mark Raudva (co-production, mandolins & bass), Carlo Asciutti and Wendy Partridge (vocals) make a welcome return to spice up the mix, Barry Andrews' son Finn takes a break from The Veils to add some vocals, while Shriek virgin Andy Partridge contributes some fiery guitar work, playing alongside Barry Andrews for the first time in the many years since the early incarnation of XTC. 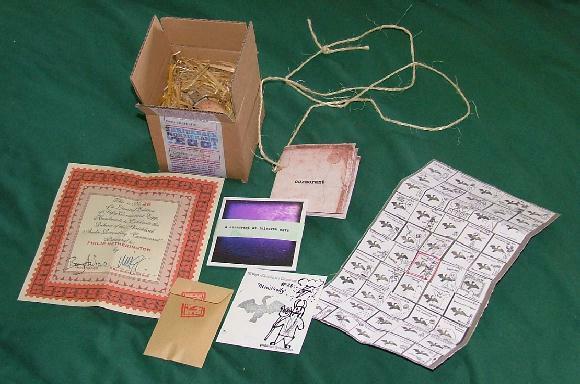 All beautifully packaged in a four page card wallet along with four separate lyric cards. Lo it is acomplished then..
All the mopping up - credits, crossfades, crucifix-birds - is in process. Mike's artwork - boshed off in Japan on his holiday - is gorgeous - clean and simple. Kenny Jones did his usual high-energy mastering thing bringing all these tweaked, pored/pawed-over babies into bright immediacy. Emails and texts go back and forth as I gather photos for the sleeve. Corr... making an album, just like it always is: big budget/no budget: same stuff to do really and that same spent, so-what feeling vying with pride and amazement that it succeeds at even some of the things that were attempted. Wonder, also, at the knowledge that this artifact will soon be out in the world to accompany a range of human activity: intimate transcendent moments; hammering down the motorway; quietly, while doing the dinner. In as many other peoples' bedrooms, cars and kitchens as we are lucky enough to get punters. I have no control any more - did all I could for you my little cross-eyed monsters; you're on your own now. Anyway, here's the track-list, whaddya reckon? Release date October 17th. Malicious Damage Records. Update: The Malicious Damage website now shows the release date as November 7th. by proper I guess I mean one that pushes the Big Project forward which is ....let me see - attempting to mutate the brute matter of life into intelligibility (Christ - get a proper job). So here it comes - the next instalment. And this one is I guess a bit bleak. Fun though - in a Shriekback kind of a way. It was Mart's idea almost a year ago now on a beery, balmy evening on a shameless nostalgia binge in his old manor of Earls Court and I grabbed the suggestion with greedy little hands. After all the necessary skin-of-the-teeth accommodations of 'Having a Moment' we would have the luxury of crafting something carefully with all the new resources of mobile efficient home studios and, for me, all the krill and compost of work I'd been doing toward another Stic Basin record (which we yet may see, but that's another story). A few days up at Mart's new joint in Yorkshire in his facility within a girl's school (yet!) and some laidback days at Mark Raudva's serene pad in Balham and it all started to feel real and do-able. Mark providing engineering and encouragement as I yelled into his wardrobe (an improvised vocal booth) as well as his own beautifully played multi-instrumental overdubbage. At this point, (implausibly in the light of the monolithic indifference I had experienced trying to licence the last 3 albums) along came a record deal - with Mike Coles of Malicious Damage, brokered by the redoubtable Graham Brown. So, as they say, everything to play for. And now, on the final stretch, as I wrestle with the minor demons attendant on (me) finishing anything (and at times they don't seem all that minor) I'm in a position to give a bit of perspective. Shriekback's 10th album is to be called 'CORMORANT' - yes, the bird and yes I do know why but we don't need to get into that quite yet. Its songs contain a lot of death (Mart and I both lost our Dads over the last couple of years: losing parents, I now realise, means that you get to move to the front of the Waiting List - 'our lot' (our contemporaries, our celebrities, the people who know the same kids' programmes I do) are next in line for You Know What. It's a Thing. There's also more than a little mid-life crisis in the mix (sorry but there it is). Musically it's considerably more 'detailed' than anything I've done I would say: the long nights and days on the laptop encourage crafting, tweaking and experiment (there's usually no-one there to tell you to stop apart from anything else). The sound is rich, dense and complicated. Subtle, I think. It's definitely coming from the landscape of Big Night Music and Sacred City rather than any of the others. RONNY: (a groundbreaker, I recon: using the image of an old criminal in exile - glorious and squalid - to look at manhood, that curious state where recklessness and loneliness always seem to hover over all the things we create. Mart plays more kinds of percussion than I insist actually exist and Mark both strums and bows mandolins). The end has a sentimental twist that still makes me smirk. Oh and Wendy Partridge (recorded in her kitchen in Bristol) plays a blinder - those lush sweet women's voices that all old reprobates need. SEA THEORY: built around a treated percussion loop and with actual marine sound effects - yes real shingle and seagulls! It's a portrait of the modern beach in all its tawdriness. And the Theory? Well, like the Bible, you can use it to prove anything. REASON WITH THE BEAST: short sharp meditation on that time honoured Shriekback theme - managing ones baser impulses. Featuring as do quite a few of the others - gasp - Andy Partridge (he volunteered over one of our infrequent Swindon curry fests and glad I was to have him onboard). We recorded all his bits in an afternoon in his shed on my laptop and, since the last time we played together was ohhh the late Bronze Age, it was remarkable how empathic it all was. On reflection though maybe we're both just emotionally stunted and have failed to grow or develop in any way apart from an increase in nasal hair. HUYTFI, TRUE PASSAGE, THUMBLESS: all instrumental and very enjoyable to do. I see them as bulletins from some puppet theatre of my mind. WATERBABY: a fairly old song (some may recall it from my one man show in the States in 03) finally committed to hard-disk (if that's not a contradiction in terms). A baleful elegy on fear and disappointment (am I turning you on?). Lovely BVs again from Wendy Woo. All crystalline and precarious. VOILED KARLETUS: yes you heard. A sort of supercalifragilistic.. type of a thing. Featuring the amazing Carlo who came down on the train to Swindon with a bottle of whisky and some CDs of wild eclecticism; sang and drank all day and a lot of the night then charmed my Mum and my Aunt over Sunday lunch who never for a moment suspected what a really very strange Italian they had welcomed into their house (sample improv lyric: 'I make women pregnant. Yeah! I plant my seed in there..'). TROUBLEMEAT: old skool groovy shouty Shrieks with hooligan drums by Mart (recorded - as with drums on all the other tunes - in an afternoon in a 'proper' studio in London) (with an... engineer and everything. Mmm engineers..). Andy Partridge giving it some welly and Swindon lass Natasha Griffiths belting out the BVs with gusto. THE STRONGEST WIND THAT BLOWS: already had a release on 'The Clock Machine Turns You On' - a Malicious Damage compilation. So you know what that's like. Don't you? Course you do. Well, there's a few more but I'm not yet confident enough to vouch for their qualities. Who knows, perhaps I will be vouchsafed another one - touchwoodpraisebetoJah - by the deadline which is the end of this month. We're aiming for a Sept/Oct release. There's an idea that we will give away the Stic Basin album specially repackaged (titles and all!!) with the first 200 bought through the record company site. The Shriekback site is presently being radically made over and, when it is, I'll be putting some sample tunes up for free download. In the meantime Malicious Damage records will also be offering some. Now I must return to my hot little computer within which dwells all the glory and tribulation of the human heart. 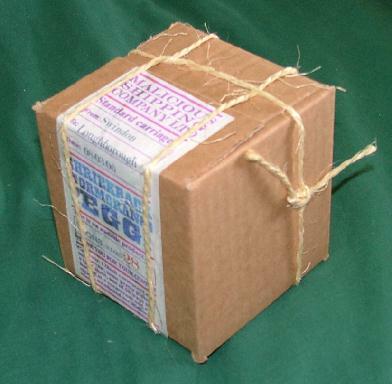 PS: i_obtain @ hotmail.com is yer man for all Shriekback/Andrews related product. Tell 'em I sent you. Shriekback (class of 2005) are: Barry Andrews, Martyn Barker, Mark Raudva. Other contributors include: Carlo Asciutti, Natasha Griffiths, Andy Partridge (XTC), Wendy Partridge [no relation]. You can order 'The Clock Machine Turns You On' compilation via the Malicious Damage website. You can also order 'Cormorant' from the same place.